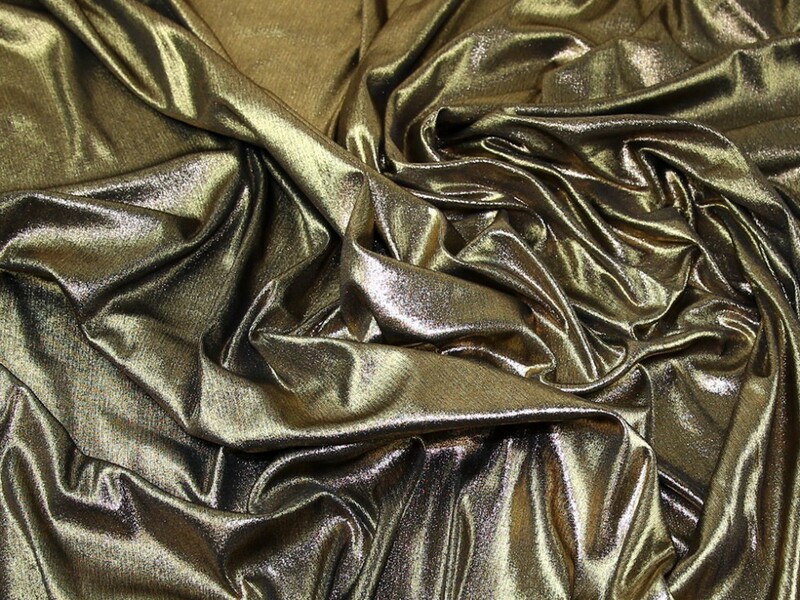 This gorgeous stretch jersey knit dressmaking fabric is a medium weight fabric and is very soft, slinky and drapey. It has a metallic foile surface which catches the light incredibly. Ideal for making tops, skirts and dresses. As part of our clearance range we are able to bring it to you at a much cheaper price than the RRP, but only whilst stocks last!